Historical fantasy debut by a member of the band Ozark Mountain Daredevils. 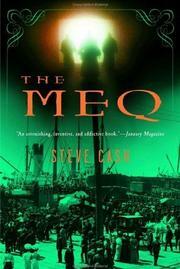 Cash’s narrator is a member of a mythical race that can live indefinitely, getting no older after the age of 12: the Meq. We meet Zianno Zezen (“Z” to his friends) as he celebrates his 12th birthday in 1881, just before his parents are killed in a train wreck on their way west. Z is rescued by an itinerant salesman, Solomon Birnbaum, who takes him to St. Louis, where the boy puts down roots. He becomes a baseball fan and meets the twin daughters of a Cardinals player—whom Solomon’s lady friend (and Z’s foster mother), Mrs. Bennings, takes in when the player dies after an all-night drinking bout. He also begins to learn something of his strange heritage as he meets various other members of his race—which is closely related to the Basque people of the Iberian Peninsula. It’s an encounter with one of his fellow Meq, an assassin known as the Fleur de Mal, that sets the larger plot in motion. After a tornado destroys part of St. Louis, the Fleur kills Mrs. Bennings and one of the twins, leaving Z determined to seek revenge. From there, the story takes Z all over the world: to sea, where he seeks another Meq his mother told him of with her dying words; to China, where he observes the Boxer rebellion and meets a female Meq with whom he falls hopelessly in love; and eventually to the Sahara Desert, in pursuit of a child kidnapped by the Fleur de Mal. The final pages take place in the aftermath of WWI. Cash makes interesting use of Americana and historical detail, although he sometimes falls into first-novel clumsiness. A sequel is in the works.